For someone in Seoul, Korea’s capital city, what could be a better way of enjoying delicacies like bibimbap and kimchi than gulping them down with a cup of favorite variety of Starbucks Corporation (NASDAQ:SBUX) coffee? 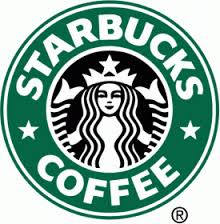 And it is even more justified to show brand loyalty now after Starbucks was hailed along with Samsung and Lotte Group on September 2nd, 2014 as by the country’s President, Park Geun Hye, as being a protagonist of women empowerment. Coffee is an inseparable part of Korean culture and this explains the meteoric rise in the popularity of Starbucks Corporation (NASDAQ:SBUX) which operates close to 300 outlets in the capital city alone, the first having been inaugurated in 1999. Of course, the collaboration with Shinsegae, a local franchise of departmental stores has helped tremendously but at present the brand is poised at an enviable position wherein it is sought-after because of its beverage as also its high market-value.